Microsoft co-founder Bill Gates and his wife Melinda take part in an interview with The Associated Press in Kirkland, Wash. Gates and his wife, head the Bill and Melinda Gates Foundation, are rethinking their work in America as they confront what they consider an unsatisfactory track record, the country's growing inequity and a president they disagree with more than any other. "I got, both times, to talk about the miracle of vaccines and how those are good things," Bill Gates said. Melinda Gates, who left her job at Microsoft to raise their three children before turning to the foundation full-time, has lately embraced her role as a public figure more boldly. She called out Trump's behavior, saying the president has a responsibility to be a good role model when he speaks and tweets, and that his verbal attacks don't belong in the public discourse. Trump has said he's a counterpuncher who goes after people when they go after him, only 10 times harder. Taking a more reflective review of their work than in years past, the couple in their annual letter published Tuesday also answered 10 questions critics often ask them. They acknowledge it's unfair that they have so much wealth and influence but reject the notion that they're imposing their values on other cultures. 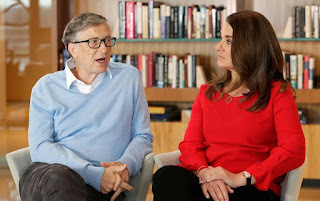 "Behind the scenes, these are the tough, tough questions that people are asking us, and yeah, we have to wrestle with them ourselves," Melinda Gates said in the Feb. 1 interview. Since 2000, the Seattle-based private foundation has amassed an endowment worth over $40 billion, which includes a large portion of billionaire investor Warren Buffett's fortune. The Gates Foundation has given money to various programs in more than 100 countries, as well as in all 50 states and Washington, D.C.
Their approach to giving has shifted the philanthropy world as a whole. They've been criticized for prescribing how the money is spent and then expecting tangible proof their investments work. About 75 percent of the foundation's resources are dedicated to global health and development. 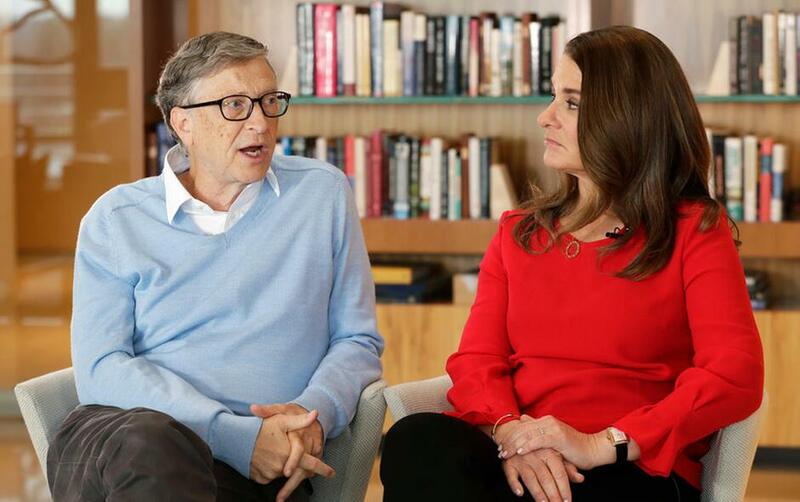 Bill Gates said they're proudest of their efforts to help eradicate polio and curb the number of child deaths, calling those global health improvements a miracle. "It's also a much bigger, more expensive and politically stickier area to attack than simply changing the structure of schools," Lubienski said. The Gateses say they're going in a less prescriptive direction on U.S. education by funding efforts through regional networks of schools, which will lean more heavily on educators at the local level. They also intend to support new curriculum development and charters catering to students with special needs. Follow Sally Ho at twitter.com/_sallyho.